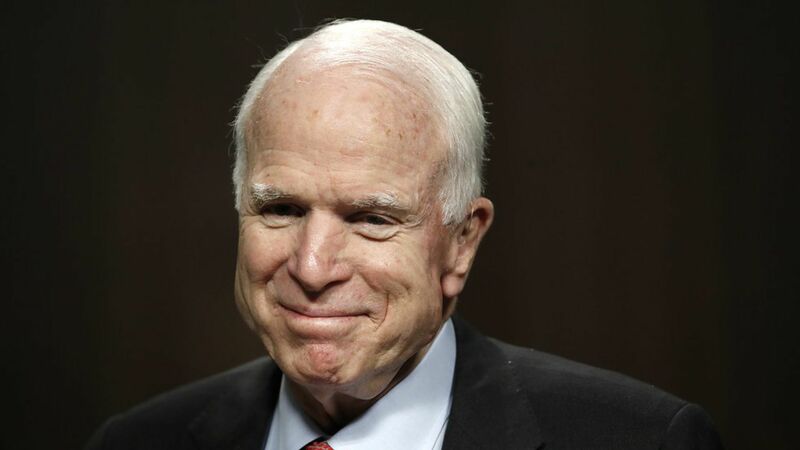 Senate Majority Leader Mitch McConnell announced tonight that the health care vote that was set for next week will be delayed — because now Sen. John McCain is going to spend the week in Arizona recovering from eye surgery. He had a blood clot removed yesterday from above his left eye and will stay in Arizona next week, per a statement from his office. Senate Republicans need 50 votes just to start the debate, let alone pass it — enough for Vice President Mike Pence to break the tie. Sens. Susan Collins and Rand Paul are expected to vote with all 46 Democrats and two Democrat-leaning independents against starting the debate. So if there are 50 "no" votes and only 49 "yes" votes — because McCain's not there — they can't even take up the bill. What McConnell said in his statement: "While John is recovering, the Senate will continue our work on legislative items and nominations, and will defer consideration of the Better Care Act."